Patrick Mwamba’s journey from Africa to a Division I scholarship at the University of Texas at Arlington makes for an interesting story. But chronicling Mwamba’s arrival at a school that is in the bottom half of 351 D-I institutions also involves basketball’s continuing development as a global sport. Growing the game globally helps the NBA’s bottom line, but also provides a path to education for players in the league’s global academies. 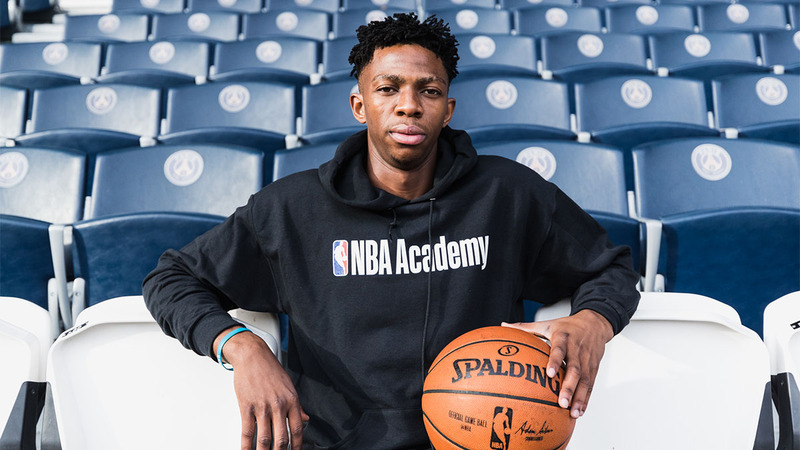 Mwamba, who is from the Democratic Republic of the Congo, is the first player from the NBA Academy Africa to go directly to an NCAA Division I school. Africa is the newest — and one of seven — NBA Academies around the world: three in China, one in India, one in Australia and one in Mexico City/Latin America. The NBA provides the funding for facilities, coaches, equipment and training at each academy. As basketball has evolved into a global game rivaling soccer, the lure of playing at a U.S. college and receiving a free education is strong. A sports scholarship is a foreign concept outside of America. While high schools and prep schools in the U.S. provide a natural feeder system, the model and path are far different for foreign players. Meek describes the current foreign recruiting situation as a game of Plinko. For many athletes wanting to come to the U.S., the journey involves agents (and their runners) or talent scouts who can connect the athlete to a U.S. high school, prep school, junior college or host family. The teenager’s best interests are not always considered, as illustrated by a recent scandal in Paterson, N.J., that involved charges of human trafficking. Even if those helping foreign athletes don’t have nefarious intent, for many it’s being a stranger in a strange, new world. 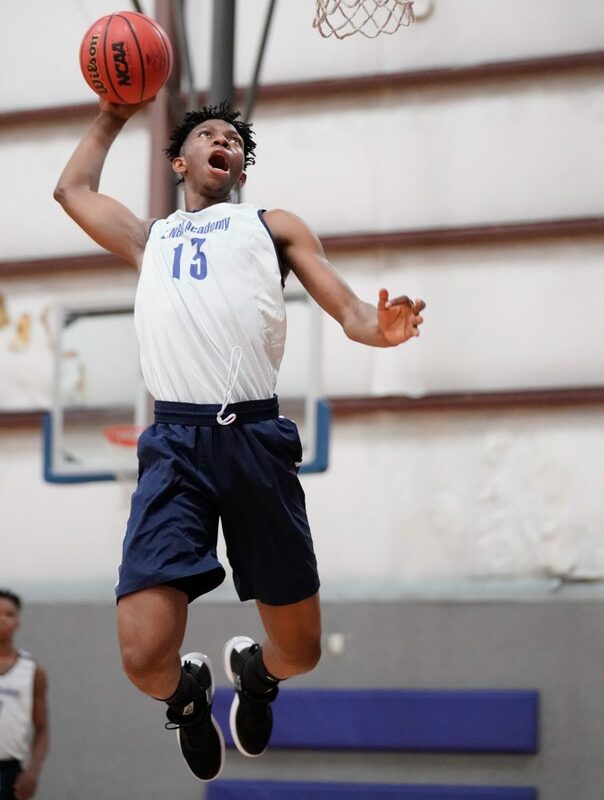 “For players like Patrick, the Africa Academy was an opportunity to take a next step and have a gateway to a college scholarship while also being able to spend that year close to home and family,” Meek said. The Africa Academy will soon open a new practice and school facility in Saly, Senegal. Mwamba and his first-year teammates at the academy had to commute two hours round trip to SEED (Sports for Education and Economic Development) Academy in Thies, Senegal, to practice. Because of the success of the first year, the Africa Academy plans to have a second 12-man team this season. Last February the NBA unveiled its Academies Women’s Program, a series of basketball development camps for top female prospects from outside the U.S., at the league’s academies. The first camp was held in March at the NBA Academy Latin America. Karla Martinez, who participated in that camp, is currently on scholarship for the University of San Diego. Roland Houston is the NBA Academy Africa’s technical director. That entails managing and supervising the academy’s development while also being head coach, teacher and mentor to players like Mwamba. While a great opportunity, Mwamba ending up on scholarship at UT Arlington is a journey that stretches the meaning of kismet. Mwamba is the third oldest of 12 children and, like most of his countrymen, he first played soccer. But his older brother was playing basketball, and Patrick was drawn to hoops just before his teenage years. “I liked the intensity and how you have to apply yourself mentally,” he said. It was quickly apparent he made the right choice. In 2016, Mwamba was the leading scorer for the Democratic Republic of the Congo team in international competition and was selected to play on a Basketball Without Borders team. At the Get Better Academy Invitational in Prague, he was named the most valuable player and averaged 20 points a game to lead his team in scoring. That led, a year ago, to his being the first player invited to the NBA Africa Academy. During his time at the academy, he tried to watch and study as much college basketball as possible. Then he gained an up-close-and-personal experience in April at the Final Four in San Antonio. 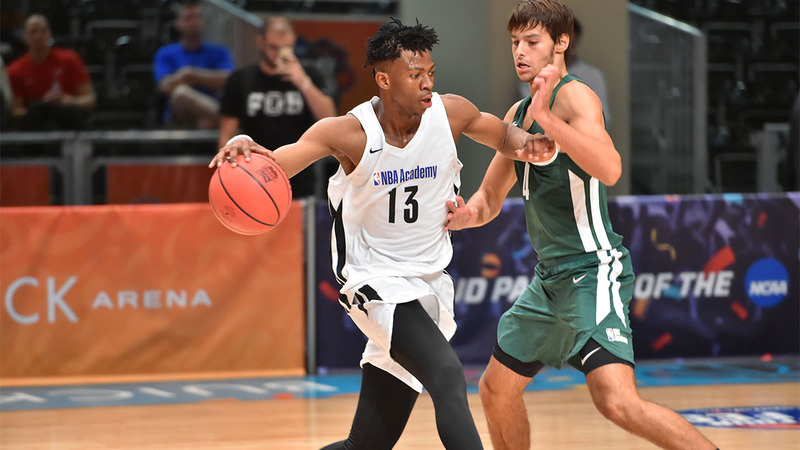 Partnering with the NBA Academies and USA Basketball, the NCAA staged its inaugural Next Generation Sunday, which gives high school-age prospects the chance to experience educational, life skills and competitive events. In a roundabout way, participating in Next Generation Sunday led to his college destination. However, the recruiting process was far from ordinary. During the Final Four, UT Arlington was without a coach. The school dismissed Scott Cross, a former Maverick and the winningest coach in school history, on March 26. Chris Ogden wasn’t hired until April 10, and he was faced with a complete roster rebuild. Even in that circumstance, giving a scholarship sight unseen to a player is far from standard operating procedure. UT Arlington sent assistant coach Riley Davis to an NBA Academy tournament in Australia, where Mwamba wasn’t even playing. (He was in Africa taking tests.) However, the trip allowed Davis to confirm and gauge the level of competition Mwamba had faced. “We hadn’t even met the kid face-to-face until he got off the plane from Senegal,” Ogden said. Learning English is part of the education at the Africa Academy. Mwamba’s native language is French, and less than two months after arriving on campus, he believes he’s breaking down the language barrier. Ogden said Mwamba, who is 6-foot-7, has the kind of measurables that translate to the NBA. He has long arms, a frame that can easily add muscle, quickness and jumping ability. His size and speed can make him a versatile player. Ask most college freshmen what part of their game they’re working on and a high percentage will mention offensive skills. Mwamba loves defense and hard work. African-born players such as Joel Embiid (Cameroon), Serge Ibaka (Republic of the Congo), Emmanuel Mudiay (Democratic Republic of the Congo), Gorgui Dieng (Senegal), Luol Deng (South Sudan), Bismark Biyombo (Democratic Republic of the Congo) and Thon Maker (South Sudan) are current NBA players who illustrate the continent’s deep vein of basketball talent. While Mwamba might be a modern-day trailblazer, the original trendsetter was Hakeem Olajuwon from Nigeria. Named one of the NBA’s 50 greatest players, Olajuwon arrived at the University of Houston in 1980 as an unknown (but crazily athletic 7-footer) entity. And 16 years after his retirement, Olajuwon is still known and revered by teenagers such as Mwamba, whose face lit up when asked if the name meant anything. Olajuwon’s nickname was “The Dream,” which encompassed his size and skills on the court but also described his journey to basketball’s heights. Wendell Barnhouse started his career as a sportswriter at 18 and spent the next four decades in newspapers writing and editing. From 2008-2015 he was the website correspondent for the Big 12 Conference producing written and video content. He has spent the last three years freelancing, most recently covering college basketball for The Athletic. Podcast: Can your child make it to the NBA?